A pair of white sneakers looks so modern and these Superga sneakers are a perfect pair. They would look good with pretty much anything, a dress,skirt or these jeans. The jeans look like vintage, which is what I love so much about them and I like that the wash is a little darker than that classic vintage Levis colour. Sunglasses and the vintage shirt are both from Celine and are great basics to update a wardrobe. 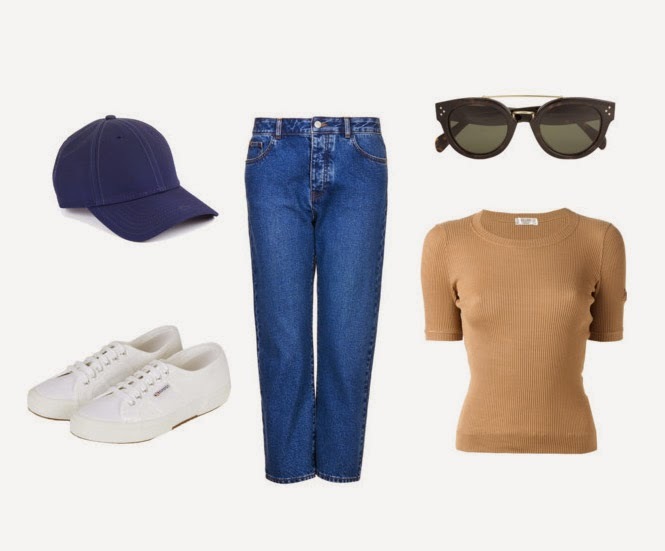 The hat adds a sporty, street style vibe to the outfit and I have been looking for the perfect, plain navy one. Those sunglasses are so up my alley!